Vertigo is an ailment where a person feels spinning or swaying, as if the objects around them are moving. It is further associated with sweating, vomiting, difficulty in walking, and nausea. It is the most common type of dizziness. The reason behind the occurrence is due to the damage caused to the posterior semicircular canal of the inner ear. The other reason behind its occurrence is due to improper functioning of vestibular system. 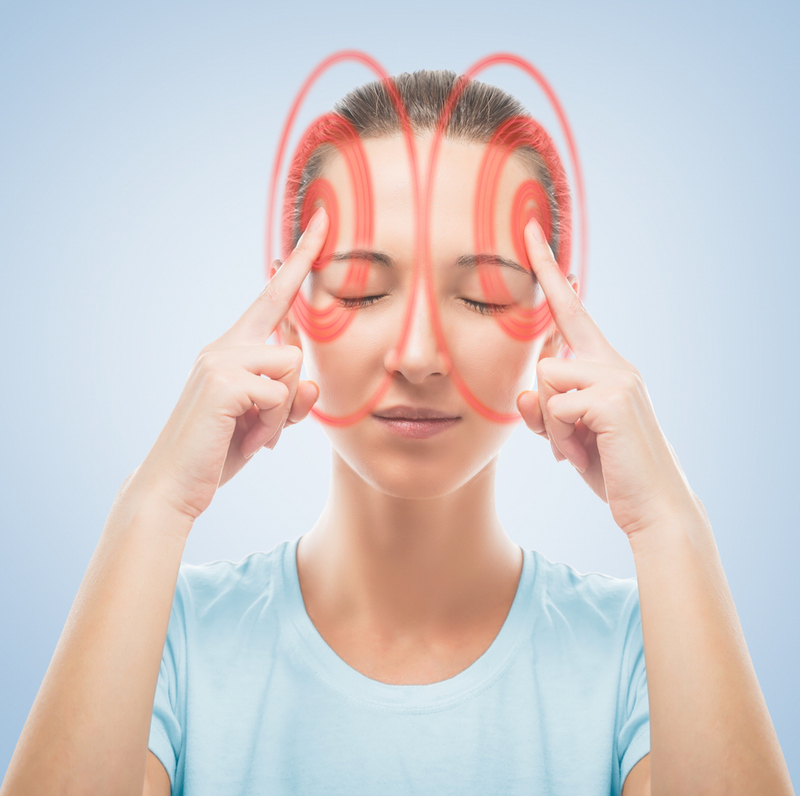 Dizziness occurs almost in 40% of the people while vertigo occurs about 7-10%. Vertigo becomes a common ailment with age and its occurrence is higher in women when compared to men. In the developed world, around 3% of the emergency departments are the cases of vertigo. Ayurveda, the ancient medical treatment originated in India, describes Vertigo as a cause due to the involvement of Pitta Dosha. Typically, the term used for vertigo in Ayurveda is “Brahma”. The primary reason for Pitta Dosha to develop is due to excess consumption of oily spicy, fried, sour food items, taking more stress, and feeling annoyed at all times. These causes when combined with Vata Doshas begin to develop the spinning situation that a person feels. Regardless of the number of causes behind the occurrence of vertigo, the primary and prominent factors are the ailments related to the inner ear. 1.Giloy: Guduchi, Giloy, or Tinospora Cordifolia, is a herbaceous vine indigenous to India, Sri Lanka, and Myanmar. The primary benefit of the herb is its ability to reduce mental stress, which in turn helps in fighting against vertigo. Additionally, the antioxidant properties help in boosting immunity. 2.Vacha (Acorus calamus): Known to bring saneness to mind, Vacha or Calamus is a brain tonic that improves mental functionality. It penetrates the nervous system and deep into the brain tissues. It eradicates the toxins from the mind and opens the nadis of the upper chakras. Best used for treating mental stress, dizziness, and vertigo. 3.Shankhpushpi (Convolvulus pluricaulis): Shankhpushpi is the best medicine in Ayurveda to treat memory and increase brainpower. It is further helpful in treating mental weakness, memory loss, and forgetfulness. It reduces anxiety and depression that support vertigo. Additionally, it acts an antioxidant, and cures mental fatigue, epilepsy, dementia and hypertension. Ginger: Ginger is chief ingredient in Ayurveda and existent for more than a thousand years. It is useful in treating several ailments including nausea and dizziness. It is naturally occurring antibacterial and antiviral agent. Consuming fresh ginger or drinking one teaspoon of ginger juice on empty stomach acts against vertigo. Coriander powder and Gooseberry: Gooseberry (Amla) and coriander powder act naturally against vertigo. Mix coriander and gooseberry powder in a glass of water and leave overnight. Strain and drink the water early in the morning. The remedy is useful in curing vertigo and the sudden appearance of darkness around the eyes. Repeat the method for a couple of weeks. Ginko Biloba: Ginko Biloba helps in boosting the flow of blood to the brain, which eliminates the occurrence of vertigo. It is very effective in enhancing blood circulation in the inner ear and solves all the problems related to the ear. Mix a spoon of the powder in water. Apart from the use of Ayurvedic medicines, you can also choose the natural treatment for vertigo that helps in eliminating the causes behind the occurrence in the first place. To begin with, poor blood circulation results in mental stress and loss of concentration. It is important to provide ample rest to the brain after a tedious day of work at the office. Lack of sleep provokes the toxins responsible for vertigo. Therefore, sleeping peacefully for at least eight hours is essential to keep the mind fresh and energetic. Use of lemon also helps in reducing vertigo effect. Other natural treatments include the use of strawberry, fruit juices, water, almond milk, and yoga. The cure for dizziness lies in your hands. When you feel the sensation, sleep or sit down. It will prevent the event of falling. Lie down for at least two minutes or until the feeling passes away. Drink water and eat something. Dehydration and low blood pressure also cause the sensation. Try to focus on a particular spot. It will tell the senses that you are not spinning, contrary to what the body tells the brain. Inhale deep breaths. It will calm down the senses and stop the sensation of dizziness. Black Cohosh: The herb reduces blood pressure, and cure dizziness and vertigo related problems. Peppermint: Helps in relaxing the mind, soothing, and improving blood flow to the brain. Kuzu: Helps in relieving the sudden onset caused due to blood pressure and reduces dizziness. If you are experiencing the symptoms as explained in this article and looking for an Ayurvedic clinic in Melbourne, then your search ends at the Pure Herbal Ayurved Clinic. You will receive the right herbal medication based on ayurvedic your body type, the symptoms experienced, and overall status. Pure Herbal Clinic in Melbourne, run by Dr. Gurnam Singh Saini, is an expert in Ayurveda and offers a natural cure to all your problems. Consult the doctor today to find a permanent solution for the causes of vertigo or dizziness and lead a stress-free life.